Asheville is an ideal vacation destination any time of year with its captivating scenery, energetic downtown scene, and endless array of outdoor activities. Reason #1: Fireworks, of course. What's July 4th without some fireworks? Come on down to Pack Square Park in Downtown Asheville for the Ingles Fourth of July Celebration. This family-friendly event begins at 4p.m. and is free! Enjoy live music and entertainment as well as other activities including free face painting, old-fashioned family games, inflatable rides, and a whole lot more. The Sons of the American Revolution will be on-hand to perform a patriotic tribute to America. There will be various food and beverage vendors available. Wrap up the evening with the grand finale fireworks display at 9:30p.m. Reason #2: Take me out to the ballgame! Celebrate Independence Day enjoying America's favorite past-time—baseball. Bring your family and friends out to McCormick Field to enjoy a doubleheader of baseball and fireworks. Asheville's own minor league team the Asheville Tourists host the Augusta Greenjackets beginning at 7:05p.m. followed by the Independence Day Fireworks Extravaganza. Purchase your tickets online at the Asheville Tourists website. Reason #3: Great places to stay. 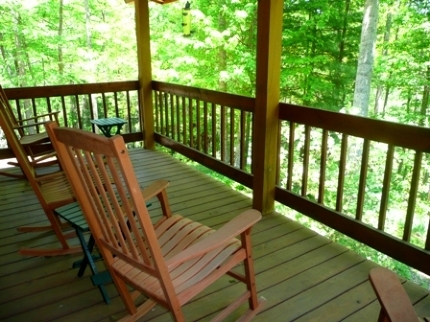 When visiting Asheville and the surrounding areas of Western North Carolina over the July 4th holiday, visitors will find a wide selection of accommodations in a variety of settings. Want to be close to the action of downtown? 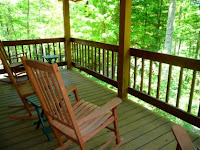 Browse through centrally located vacation rentals right in the heart of Asheville. 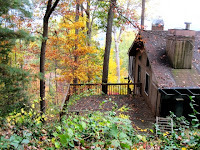 Interested in something more private and secluded? There are romantic mountain getaways that are sure to please. Are you looking for family-friendly vacation homes that are pet-friendly? We have those, too. In addition to the refreshing mountain air, the endless panoramic views, and the overall vibrant atmosphere found in Asheville, we hope we've given you three more reasons to come and visit us over the Fourth of July. We like to hear your feedback. So if you've spent the July 4th holiday in Asheville or the mountains of Western North Carolina, please tell us about it in our comment section. Share your favorite memories with us. If you haven't been here yet, come and make some memories! The summer season is being ushered in this week! Asheville and the surrounding areas here in Western North Carolina welcome you and encourage you to spend some time in the great outdoors. The temperatures here in the summer rarely venture out of the 80's and the nights are cool and pleasant. A trip to Western North Carolina is not complete without experiencing one of America's favorite scenic drives. The Blue Ridge Parkway meanders for 469 miles and allows for stunning views of majestic mountains and miles of scenic pastoral landscapes. Take some time out for the family to drive, relax, and explore the Parkway—then consider some of the additional family-oriented events happening at the Blue Ridge Parkway this week. This Thursday, June 21 from 7p.m. to 8:30p.m., meet up with the rangers at the Blue Ridge Parkway Visitor Center (located at milepost 384) in Asheville for Family Night on the Blue Ridge Parkway. Spend some time with the family in a fun, informative, and beautiful environment and take the opportunity to learn about various survival strategies that Parkway animals implement. Take part in interactive predator-prey games that the whole family will enjoy. Admission and parking are free but registration is required. Also at the Blue Ridge Parkway Visitor Center, come out on Saturday, June 23 from 9a.m. to 3p.m. for Family Outdoor Adventure Day on the Blue Ridge Parkway. It's a chance for the family to learn about survival skills, talk with experts, as well as enjoy and explore the outdoors. There are various activities scheduled throughout the day, so be sure to view the full schedule of events and times. It's a jam-packed day of fun for everyone. Event partners are on-hand to provide additional highlights and equipment for various other family-friendly adventures in Western North Carolina. This event is free and food vendors will be on-hand. The Blue Ridge Parkway offers a variety of programs, activities, and special events throughout the summer. So no matter when you decide to visit, be sure to check the schedule of events prior to your stay in Western North Carolina so you can plan ahead. Do you have a favorite spot along the Blue Ridge Parkway? If so, we'd love to hear about in our comment section. Happy Summer! Will you be in Western North Carolina this weekend? Are you looking for something different to do? How about a mountains-and-a-movie night—and a date with Daniel Day Lewis and Madeleine Stowe? It's hard to believe that it's been 20 years since the film The Last of the Mohicans was released in 1992. In celebration of its 20th anniversary, Chimney Rock State Park is offering a chance to view this epic historical film, based on the novel by James Fenimore Cooper, in an outdoor venue surrounded by the very scenery depicted in the film. Portions of this movie were filmed right here at the park! We can't think of a better way to be part of the action than to be surrounded by the actual majestic grandeur of the setting portrayed in the movie. The last seventeen minutes of the movie were filmed in the park. The climatic fight scene was filmed at the top of Hickory Nut Falls. Some of the movie scenes were filmed throughout the valley formerly known as Carson City and Hickory Nut Flats. 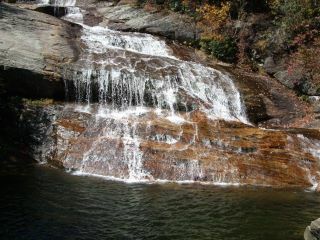 In the scene where the characters walk behind a waterfall, that waterfall actually does not exist in nature but was filmed at an Asheville studio. 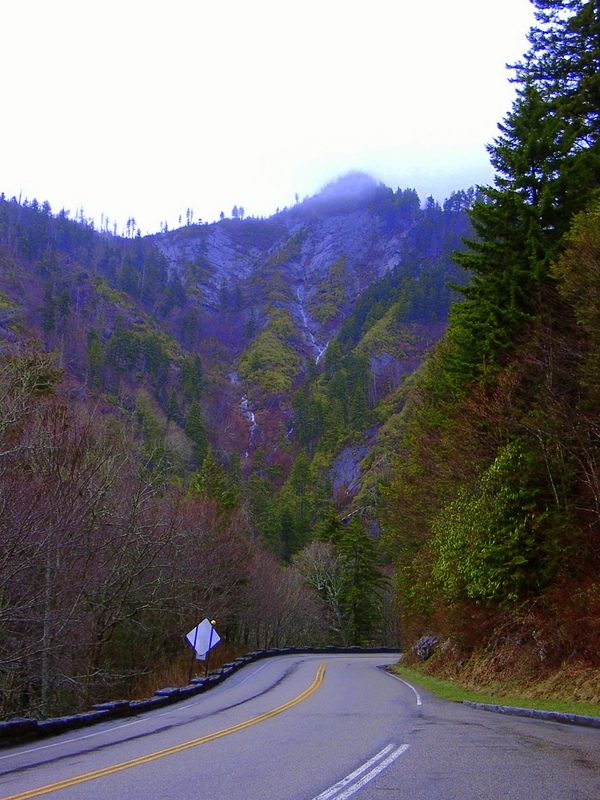 Chimney Rock State Park was chosen as a filming location because of its resemblance to the Adirondack Mountains of upstate New York where the story is set. Chimney Rock State Park's Movie on the Meadows: The Last of the Mohicans 20th Anniversary showing is scheduled for this Saturday, June 16. The gate opens at 7:30p.m. and the movie begins at 8:45p.m. The cost is $5 per car or it's complimentary with your receipt for paid park admission for that day. Advance $3 parking tickets are only available at Lake Lure Ingles from May 27-June 15. The park suggests that visitors bring a blanket or chair and a flashlight. Pre-show entertainment begins at 8:15p.m. and concessions and movie merchandise will be available to moviegoers. If you're there for the day, you may be interested in going on one of the two scheduled guided hikes to see the film locations in the park. These hikes are scheduled for 3:35p.m. and 4:45p.m. 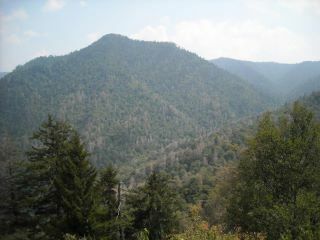 The hikes are free with park admission that day but limited to the first 15 people. Sign up is first-come, first-serve at the park's Cliff Dweller Gifts starting at 1p.m. that Saturday. Don't fret if you can't get here by this weekend. 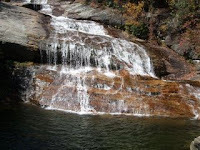 Plan your future Western North Carolina vacation getaway and then remember to bring a DVD of The Last of the Mohicans along with you to your mountain retreat. That way, you can have a mountains-and-a-movie night of your very own. Father's Day is quickly approaching! It will be here in only a few short weeks. Give Dad a much needed break from the everyday routine and plan for some family time in the mountains of Western North Carolina. 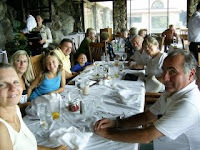 Whether you plan to reunite the entire crew for a reunion-style family getaway to celebrate all of the dads in the family or something more along the lines of a cabin nestled in the Blue Ridge Mountains with your close immediate family, it's not too soon or too late to make your trip plans. Now is the perfect time. With the summer season almost here, Asheville and the surrounding areas offer a variety of fun family activities sure to please Dad no matter what his interests may be. Here are some ideas. Adventure abounds in Western North Carolina. 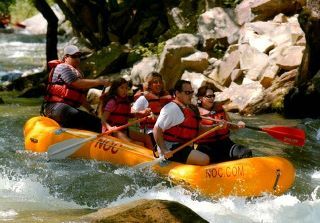 There is plenty of outdoor fun to be had and ExploreAsheville.com is a great resource that lists local information for planning your adventure whether it's kayaking, whitewater rafting, zip-lining, mountain biking, hiking, horseback riding, or fly-fishing. Your adventures are only limited to your imagination. 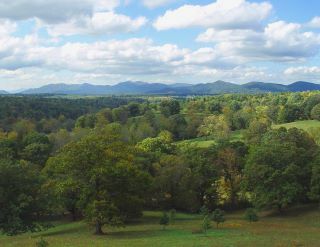 The Asheville area has frequently been rated as a top destination for outdoor fun, recreation, and adventure. The Asheville area boasts a thriving arts, musical, and theatrical scene year-round with plenty to see and do for the art enthusiast. Visitors will find a vibrant artistic community ranging from fine arts to folk arts found in art galleries around the area, local art events and festivals, and in the River Arts District where you can watch artists work right in their studios. There are a wide range of live music events in an array of genres as well as many performing arts venues to attend during a visit here. Be sure to check out LiveWire Asheville for a comprehensive listing of live performances and other performing arts events happening locally. In the next few weeks, you'll find arts events such as the 5th Annual Sculpture for the Garden at the Grovewood Gallery, Asheville Art in the Park in Pack Square Park, Edwin McCain performing live at The Orange Peel Social Aid and Pleasure Club, and Much Ado About Nothing by the Montford Park Players opening the summer Shakespeare season. 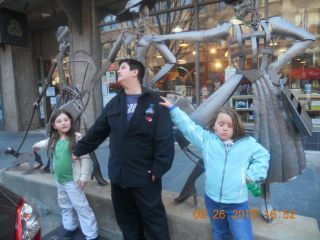 Perhaps Dad prefers to stay in downtown Asheville for the convenience of the nearby shopping, fine cuisine, rich architecture, and proximity to the museums and other local attractions. There's plenty to do but take time out to sip some java and relax in one of the independent locally-owned coffee shops and be sure to taste the local flavor at one of the farm-to-table restaurants. Whether your dad's interests fit into any or all of these categories, we know he'll enjoy his time in the Asheville area making memories with his family. Who knows, it may start a tradition of spending Father's Day in Western North Carolina. We certainly hope so! Have you spent a family holiday in the Asheville area? Be sure to tell us all about it. We always love hearing from you. Kudos to all of the great dads out there!